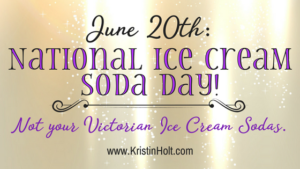 Today, July 30th, is National Cheesecake Day. 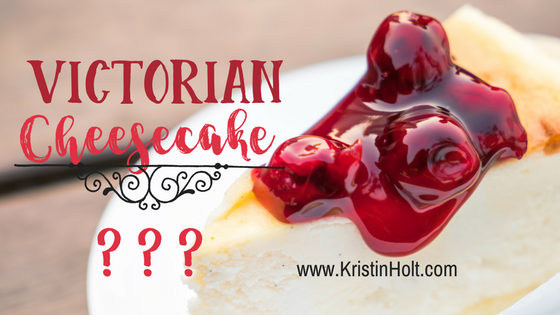 Just how new is cheesecake? 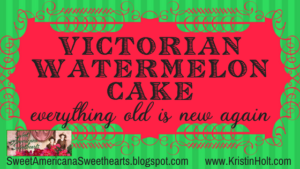 Surely the Victorians didn’t have such a thing…did they? 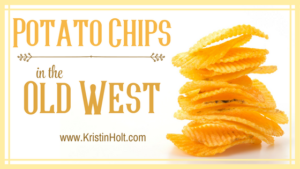 2 pounds cheese well crushed in a mortar; when it is well crushed, add in 1 pound bread-wheat flour or, if you want it to be lighter, just half a pound, to be mixed with the cheese. Add one egg and mix it all together well. 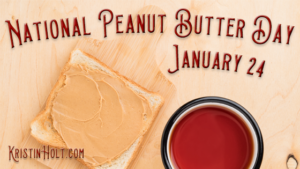 Make a loaf of this, with the leaves under it, and cook slowly in a hot fire under a brick. 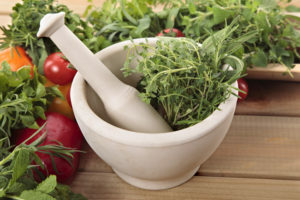 Mortar and pestle, crushing fresh herbs. 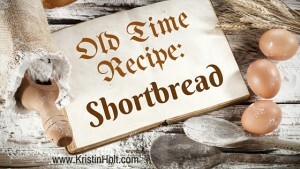 Slice a loaf as thin as possible, pour on it a pint of boiling cream, let it stand two hours; then take eight eggs, half a pound of butter, and a nutmeg-grated, beat them well together, pour in half a pound of currants well washed, and dried before the fire, and bake them in raised crust or patty pans. 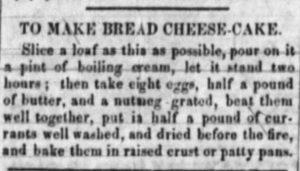 Recipe for Baked Bread Cheese-Cake as transcribed from The North Carolina Whig of Charlotte, North Carolina on August 3, 1853. Poughkeepsie Journal of Poughkeepsie, NY on July 7, 1849. Part 1 of 2. Poughkeepsie Journal of Poughkeepsie, NY on July 7, 1849. Part 2 of 2. 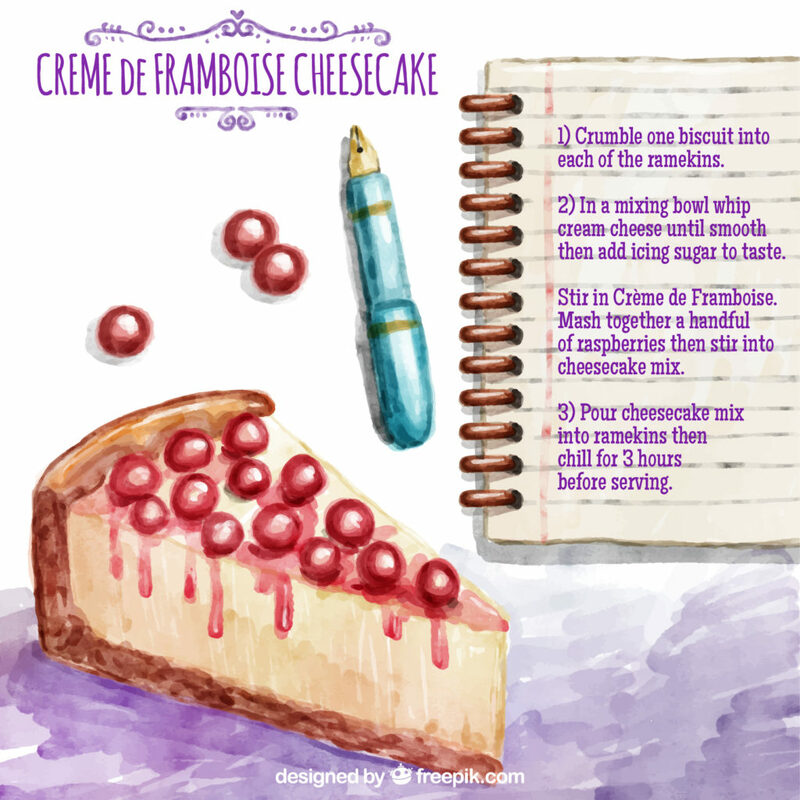 Cheese Cake.– Bruise a half pound of cheese with one eighth of a pound of butter: add four eggs and milk enough to render it the consistency of thick gruel; sweeten to taste; add one half a lemon, and spice to your liking. 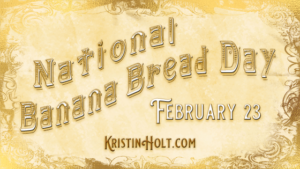 Bake with a bottom crust. 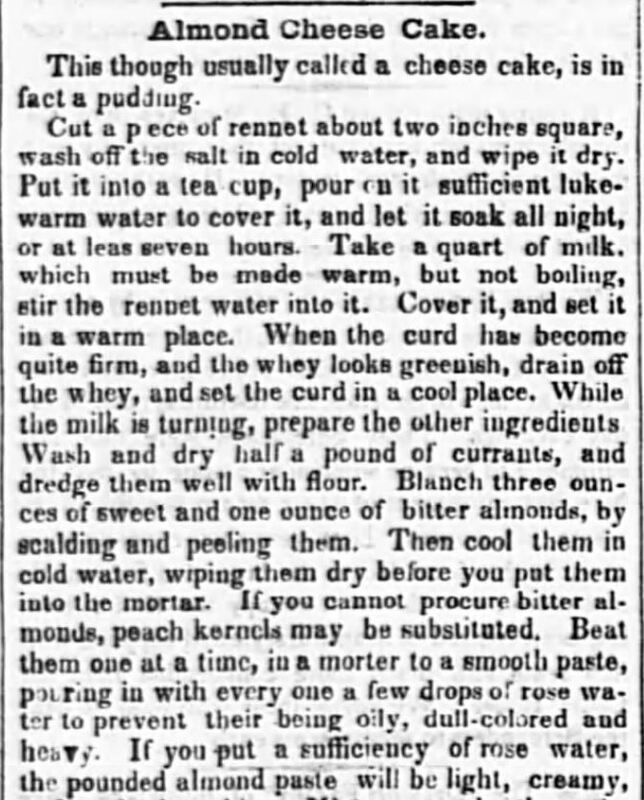 The Costhocton Tribune of Coshocton, Ohio, on January 8, 1868. 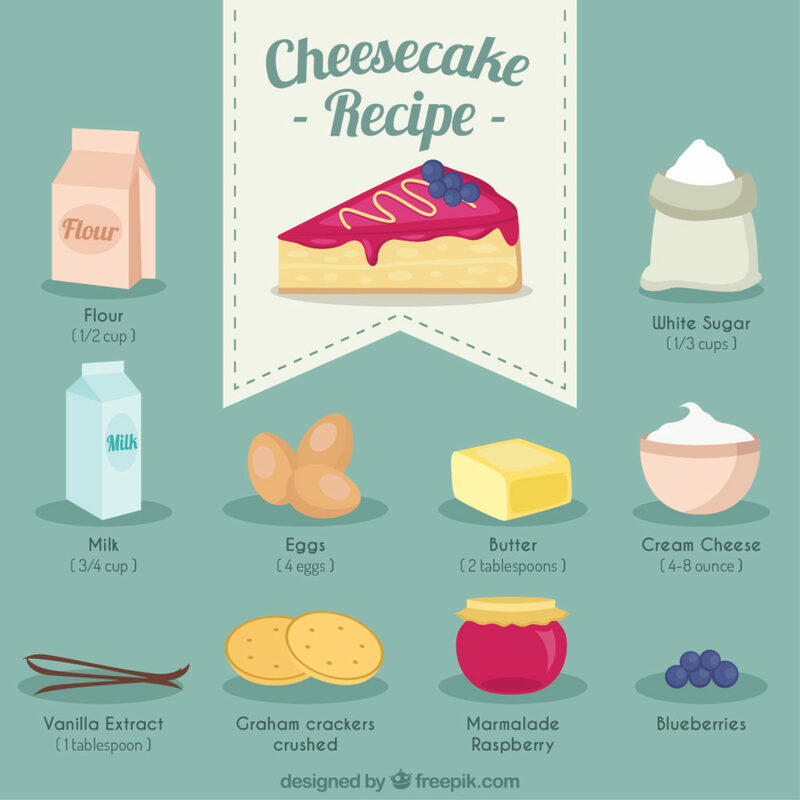 Cheese Cake.–Two cakes of cottage cheese, four eggs, a piece of butter about the size of a large egg, the rind and juice of one lemon, one nutmeg; sugar to your taste; add cream enough to make it like pumpkin pies. 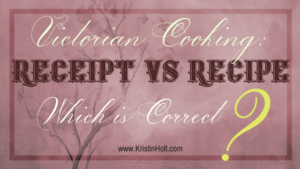 Recipe transcribed, immediately above, from Carolina Watchman of Salisbury, North Carolina, published on February 5, 1869. 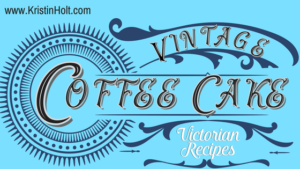 The following Cheese Cakes recipe is sweet, baked in a puff pastry, and made with cottage cheese–the most cream cheese-like ingredient available at the time (1871). 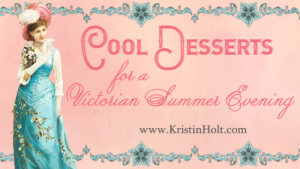 The lemon and lime add a touch of acid, which modern cooks still do, to bring out the flavor in this rich dessert. 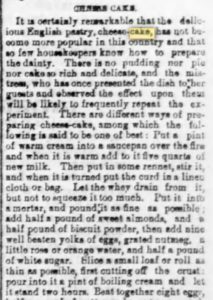 Cheese Cakes recipe published in Detroit Free Press of Detroit, Michigan, on April 22, 1871. 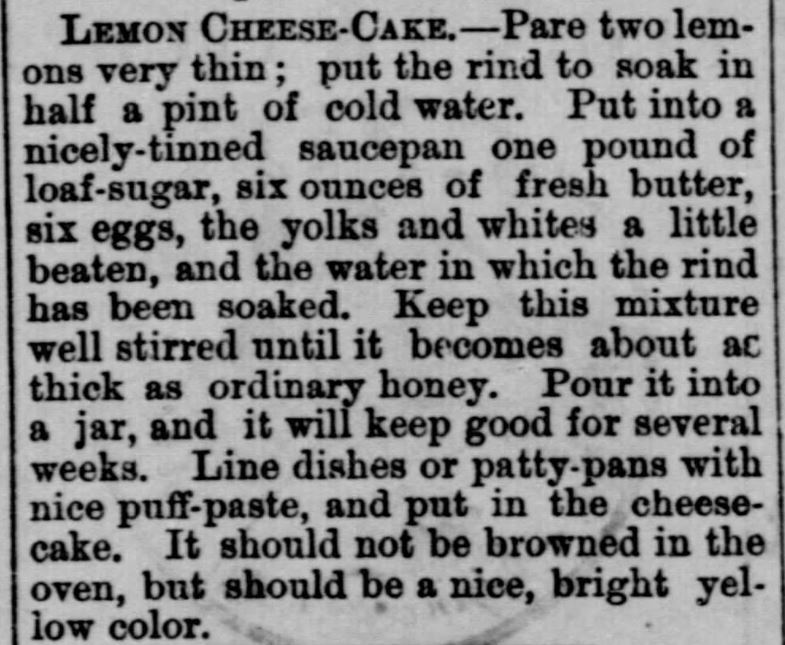 Lemon Cheese-Cake recipe published in The Weekly Republican of Plymouth, Indiana on September 24, 1874. 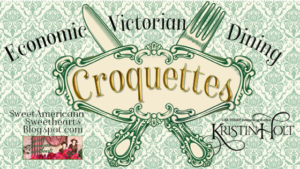 It is certainly remarkable that the delicious English pastry, cheese-cake, has not become more popular in this country and that so few housekeepers know how to prepare the dainty. 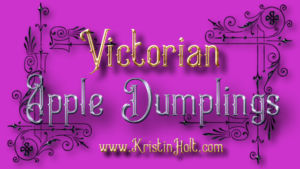 There is no pudding nor pie nor cake so rich and delicate, and the mistress, who has once presented the dish to her guests and observed the effect upon them will be likely to frequently repeat the experiment. 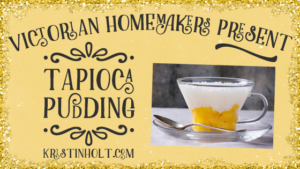 There are different ways of preparing cheese-cake, among which the following is said to be one of best: Put a pint of warm cream into a saucepan over the fire and when it is warm add it to five quarts of new milk. Then put in some rennet, stir it, and when it is turned put the curd in a linen cloth or bag. Let the whey drain from it, but not to squeeze it too much. 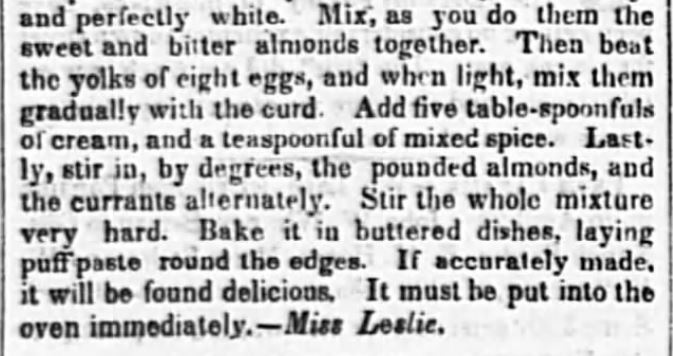 Put it into a mortar, and pound it as fine as possible; add half a pound of sweet almonds, and a half pound of biscuit powder, then add nine well beaten yolks of eggs, grated nutmeg, a little rose or orange water, and half a pound of white sugar. 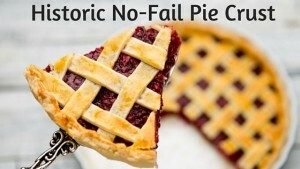 Slice a small loaf or roll as thin as possible, first cutting off the crust: pour into it a pint of boiling cream and let it stand for two hours. Beat together eight eggs, half a pound of butter and a nutmeg grated. 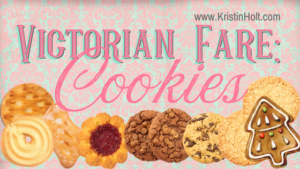 Mix them into cream bread, with half a pound of currants, well washed and dried and a spoonful of brandy. 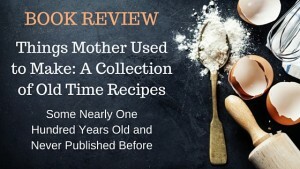 Bake them in patty pans on a crust raised on the edges. 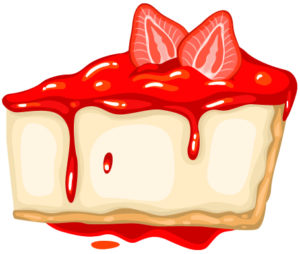 For many tastes the cheese cake is improved by the omission of the currents from the materials. Weekly Atchison Companion of Atchison, Kansas on October 16, 1875. Part 1 of 2. Transcribed, above. Weekly Atchison Companion of Atchison, Kansas on October 16, 1875. Part 2 of 2. Transcribed, above. 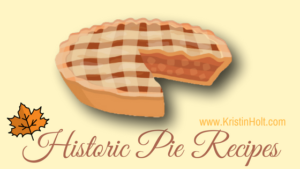 The Kraft foods website states that the Empire Cheese Company of New York began producing PHILADELPHIA BRAND Cream Cheese in 1880, for a New York distributor called Reynolds. 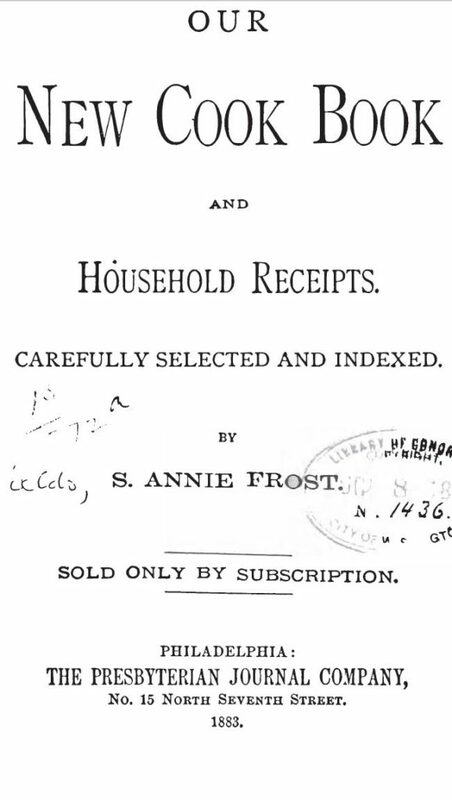 Title Page of Our New Cook Book and Household Receipts, by S. Annie Frost, published in 1883, Philadelphia. 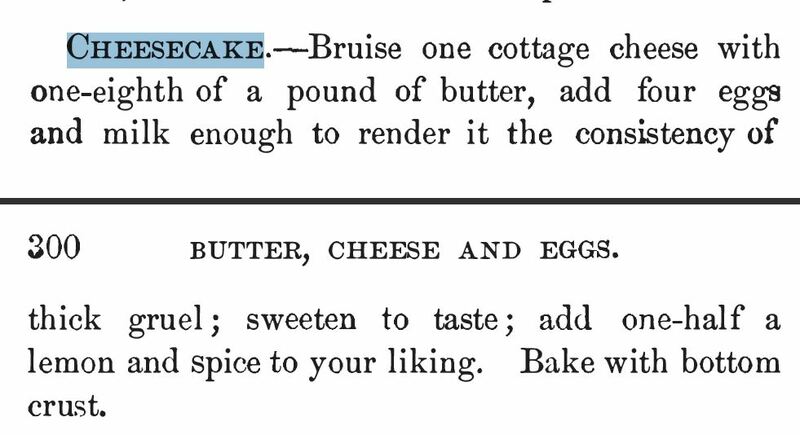 Cheesecake, from Our New Cook Book and Household Receipts, 1883. 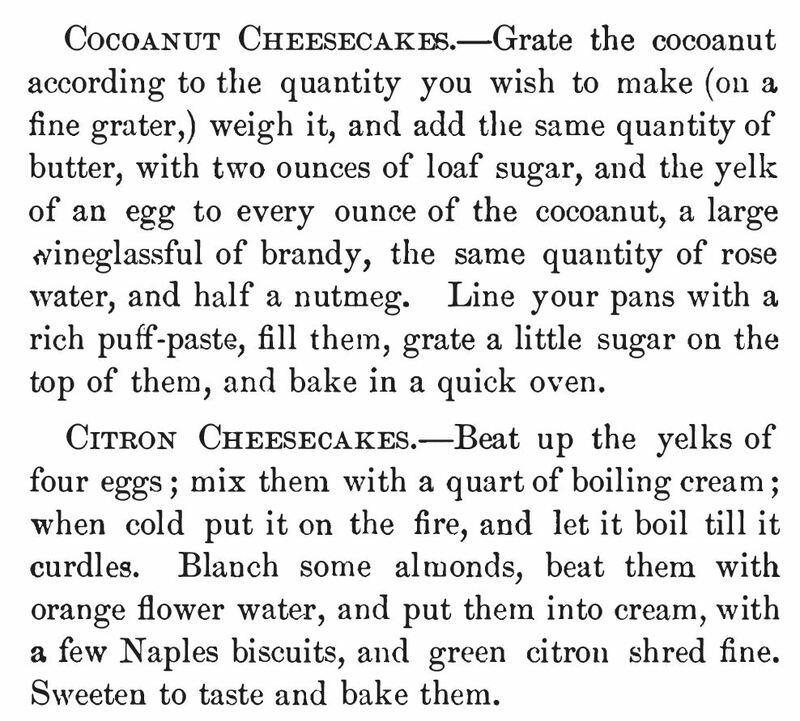 Cocoanut [sic] Cheesecake and Citron Cheesecake from Our New Cook Book and Household Receipts, 1883. 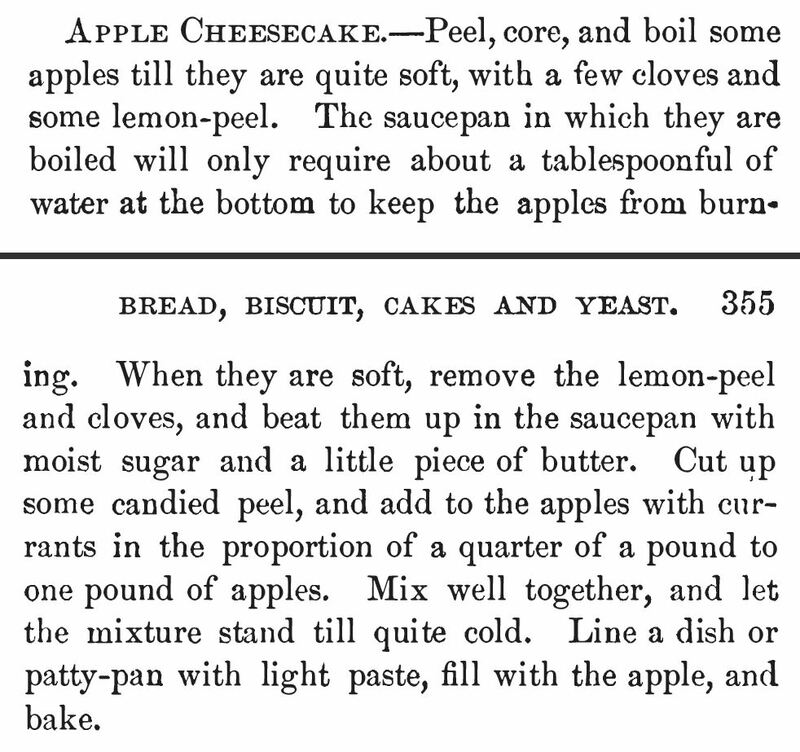 Apple Cheesecake, Our New Cook Book and Household Receipts, 1883. 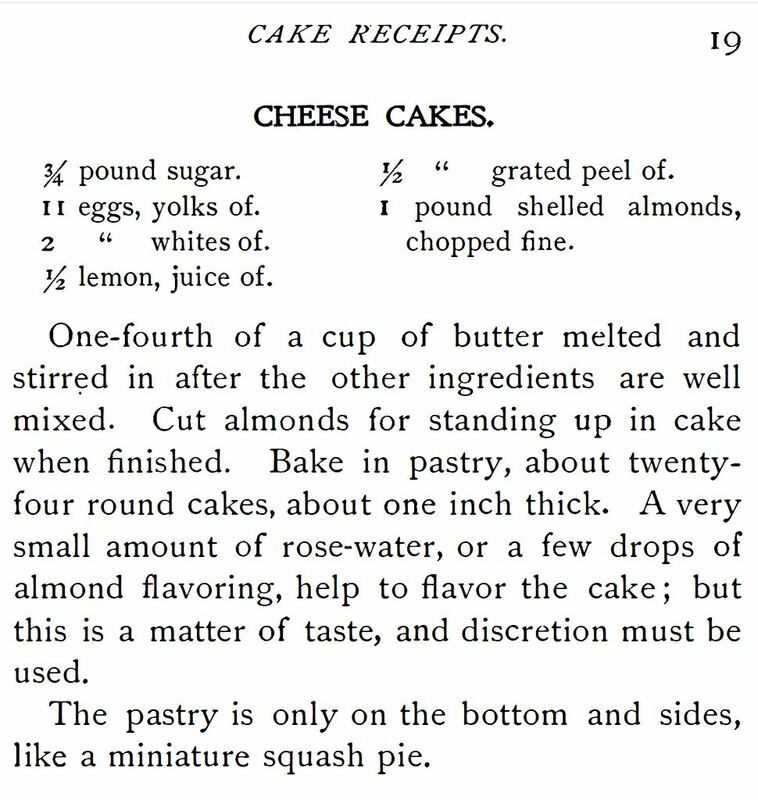 Cheese Cakes (Individual), on page 19 of Cake Receipts, published in 1898 by Emily R. Brooks. 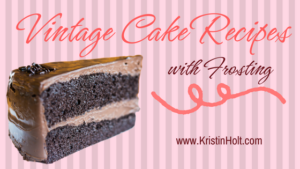 Hiya, This is a fantastic food recipe, thank you for taking the time to write the article. 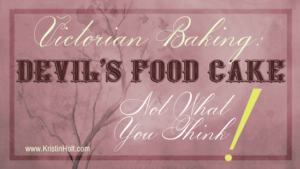 I am a good food lover and We love baking milk tart.